“Running is a sport that unites us. All backgrounds and ability levels. This event is trying to break us but we are strong. 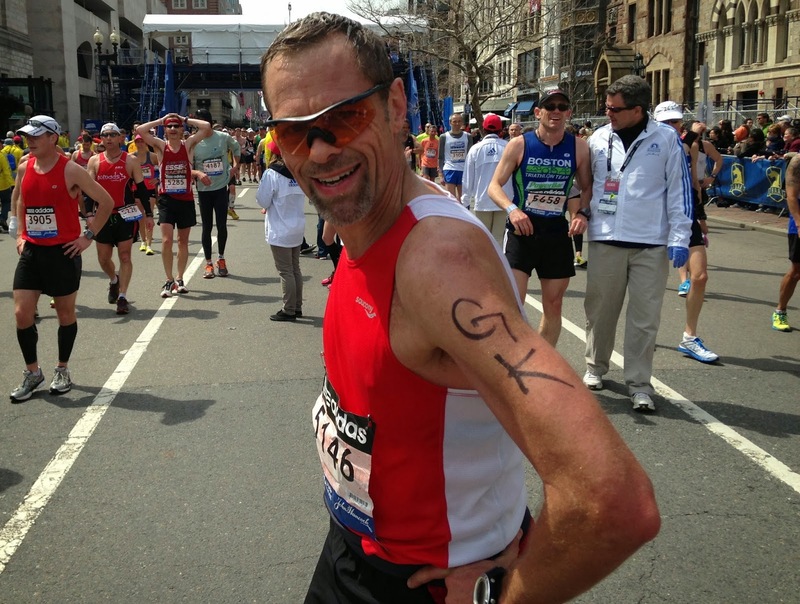 Last year’s first prime race however was the iconic Boston Marathon, the longest standing marathon in the world, launched one year after the first Athens Olympic Marathon in 1896 and at its 117th edition in 2013. Due to the workload it wasn’t easy to follow the same training schedule as for the New York marathon in 2009, my best performance ‘so far’. As a consequence I never reached training targets to finish another sub-3. Yet I was determined to give it a try, knowing what adrenaline and testosterone can achieve on race day. That Monday on 15 April, the weather conditions were excellent. So I started out fast on the early downhills and crossed the halfway mark in 1:28 - still on track for a sub-3. However, the engine sputtered in the second half and Heartbreak Hill ruled out the last hope on a timely finish. Crossed the memorable finish line a bit disappointed in 3:05:33 - however blessed to finish long before the horrendous pressure-cook-bombings at the finish line, approximately one hour later. Despite this coward terror attack on the spirit of the marathon I enjoyed Boston city a lot and in particular its runnability along the shores of the sea/river/universities. Never seen so many, so young and so handsome recreational runners in one city - definitely a place where I could live and work (to do a Phd on the runnability-indicator for prosperous cities - anyone in for sponsoring it?). No doubt the Boston marathon will live on and the people who lost their lives or limbs should always be remembered as part of the unbreakable spirit of the marathon. The second sign of weakening performance compared to previous years came with the Braveheart Ultra race in Cyprus, officially called The Two Castles and an Abbey Trail Ultra. It’s a scenic race in the North of Cyprus including some rough and very steep sections, as well a daunting ascent to a castle at the peak of the race. The race is very well organised and I can highly recommend it to all lovers of trail racing, off the beaten track and with the best value for (little) money. I started out well and kept a pole position until 50k in the race, but than suffered from heat and dehydration and finally collapsed around 65k in the race. After the race director reanimated my depleted body and mind, I walked the final 15k to finish in more than 13 hours overall. Once more sun and heat badly affected my performance, as I had experienced in my first Spartathlon attempt and would face again in my second attempt later in the year. Also in my second attempt to finish the gruelling Olympus Mythical Trail as well in the iconic fell running race Lakeland 100 I couldn't find the right strategy and tactics to overcome sun and heat, dehydration and a bloated stomach. In the Olympus Mythical Trail however, I could have finished if I really wanted it. I survived a horrible first 35k with thick fog, blistering wind and prickly snow going up and roaming the peaks of Zeus’ mountain, with nothing more than a short and a t-shirt covering my freezing body - I know I should have known better... And when I got lost for more than one hour in the fog, at first I feared to loose the race and later on I even feared for my life, honestly. So when I finally got back on the course and started the descent to lower and warmer areas it already felt like a victory way before the finish line. I picked up many runners and feeling strong until 70k in the race. Then energy levels and mental focus dwindled and I quit the race at Prionia aid station, only 15k away from the mythical finish line. I simply could not add any suffering for the final 15, infamous to all OMT runners as you endlessly circle around the finish area. I believe the race director is now reviewing this final tantalising section. I was actually proud with my 85k and over 5000m elevation gain in 20 hours - recovering soon after with some lamb chops and some more beers. Pride however did not occur at the next A race, the 100 miles long iconic race around the Lake District in northern UK. The Lakeland 100 is probably one of worlds most difficult fell running races. It’s not only its distance; it’s not only the endless ups and downs totalling more than 6000m elevation gain; it’s also the mental focus needed to orientate yourself on a totally unmarked course, during day and during night. I chose this race to be sure about cool racing temps so you understand my state of mind entering the race in the midst of a heat wave, with sun and temps above 25C. So once again, after going through the night relatively well, I struggled with proper fuelling and completely depleted towards half-way mark. I had to dig deep to ad another 10 miles on unforgiving terrain and handed over my bib at mile 60. And yet, some co-runners in a similar or even worse condition (with dollar sized blisters and swollen knees) managed to continue and ‘walk to the finish’ in overall more than 40 hours - while the winner, Stuart Mills finished in 22h or so. Seeing some of them some hours after the finish, I admired their determination but also felt pity for the physical state which might need a long recovery. I really wondered how much suffering and agony is worth the accomplishment of finishing and returning home with a medal. I couldn't bring it up when I felt totally spent, although I have to admit my own surprise the fast recovery after handing in the bib. Only some hours after I enjoyed a nice meal with some beers, and the next day I went back to the cursed mountains - now covered in clouds and with low temps! - and walked/ran another 35k! The Lakeland experience would have been excellent if I learned some proper lessons from it for the AA race of the year, the second attempt to run from Athens to Sparta, in the footsteps of the messenger Pheidippides. On 26 September at 6:30 I was really psyched up to complete the Spartathlon. Unfortunately the weather forecast was sunny and warm, but not as warm as last year. I was well trained with some monster weeks of running more than 100 miles and I had a sound fuelling strategy that would get me through the first day. The first 50k went very well and contrary to last year I didn't suffer too much to reach the first big check point at around 80k in the race. However, after a brief break I couldn't resume running at the pace I entered the station and slowed down to first a shuffle run and later on nothing more than a walk. I was not the only one so maybe nothing to really worry about. However my stomach felt so bloated that I had to throw up. Again nothing unusual in a race like this but somehow it felt as if I also threw up my motivation and self-esteem. The negative thoughts quickly took over and than it becomes very hard to see and keep yourself going for another 160k or 100 miles, especially when your appetite for something so basic as water is completely gone - how on earth can I keep going without drinking - compounded by the strict cut-off times. At the 93k Check-point in Ancient Corinth I decided to take a break and drink a beer - the only beverage that goes down if nothing else goes down - and see if I could get back on my feet before the time was cut off. Unfortunately that miracle didn’t happen so I finally handed in my bib, only 13km further in the race than last year. Apparently I didn't learn anything from the Lakeland experience and, when I gave up in Ancient Corinth, I made a bold resolution NEVER AGAIN to race this or any ultra race of 100 miles or more, at least not in sunny and warm weather conditions. I somehow acknowledged the ‘fact’ that I have reached the limits of my physical and mental running abilities. I was running races that seemed bigger than me. I was running the edge and falling of the cliff. I was lucky enough to fall with no injuries and now I should wisely listen to the warning sign not to challenge my limits any further. Now, less than 6 months onwards, I rise up and ... signed up for the third (and last) attempt to reach Leonidas’ statue in Sparta. WHY? Why not! - could be the simple answer. What nearly but finally didn't kill you should make you stronger, no? And - what would you attempt to do if you knew you could not fail? All very metaphysical reasons, I know. As if it is only a matter of mind over body. Maybe it is? Of course you can’t even think to enter ultra races without a serious bout of physical training - something that is currently more than ever constrained by my job. But training and physical preparedness alone will not get you to the finish, that’s for sure - look at all the well (if not over-) trained athletes that DNF in the tough ultra’s. Of course I will have to find better fuelling strategies for ultra races in warm and sunny weather conditions, but again I’m not the only one struggling with this issue and others have found the key to unlock their personal best response. I recently got intrigued by UltraStu’s blog. 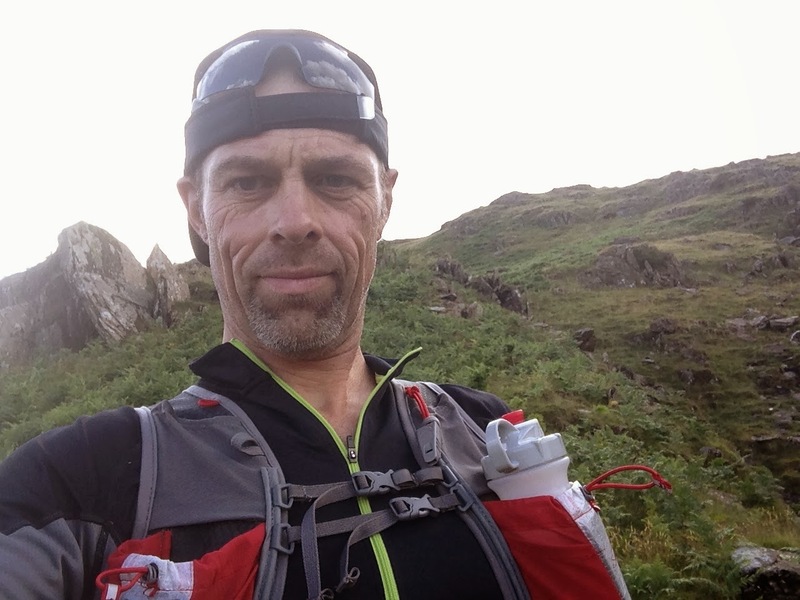 UltraStu is the nick name for Stuart Mills, the second time winner of the Lakeland 100, in a stunning time of 22h.... AT THE AGE OF 50 - my age! In many ways UltraStu is a non-benchmark as he is mocking all race and ageing stats. Yet I found some inspiration in his Race Focus Energy model. You can read it all on his blog but let me explain what I learned from it. The elicit Prof. Tim Noakes, author of the iconic ‘Lore of Running’ and ‘Waterlogged’, already demonstrated that there is a decrease in muscle activation initiated by the brain when fatigued. I repeat: by a fatigued brain, not necessarily fatigued muscles! This refers to Noakes’ theory of the Central Governor, lets say the brain that is holding back your body from potentially damaging physical activity. I repeat: potentially damaging! Mills argues that Race Focus Energy (RFE) is required in order to activate the exercise muscles above a threshold. This is translated into his training advice to a) maximize the size of the RFE tank prior to the start (and even allow to top up/refill during the race) and b) minimize the use of RFE during the race by maximizing the positivity of mental focus. Mills doesn't entirely denies the importance of physiological fitness and preparedness but argues that at least 50% of the success to win or finish a race is related to the mental fitness and preparedness, by a) be totally aware of the race demands (something I use to overlook or underestimate), b) be confident in your preparation to meet your goals (something I definitely could improve), c) be within the present moment during a race (and thus NOT thinking about the long way ahead) and d) simply enjoy the journey (a daunting task in the first leg of the Spartathlon). UltraStu even considers reading and writing on running as a workout in the TOTAL training for a key race. Let this be one of the reasons why today I preferred writing over running! I won’t say I found the magic bullet but I believe this simple RFE strategy might help in achieving my ultimate dream to reach Sparta and other far away destinations. On my journey to Sparta I have set some milestones to test my physical and mental state and focus. I started the new running season with the Tiberias Marathon in Northern Israel, on the 10th of January. A finishing time of 3:20 was far above my PR and average time but quite logic given the unspecific training of the previous months and weeks, focussing more on shorter races and trainings. Also the half marathon on Ymmithos mountain, on 2 February was completed in a modest time of 1:50 - 9’ above my PR on that course. My next target is the marathon of Tel Aviv, where I hope to run a bit faster than in Tiberias but certainly not aiming at a PR. One month later I will race for the second time the Jerusalem marathon, only useful for running hills as fast as possible just below the lactate threshold. I also signed up for my second Palestine marathon, 3 weeks later, but I might have to trade if for the 7th World Urban Forum in Medellin/Colombia. No problem, as I have already signed up for something much bigger 2 weeks later, a 144k ultra trail from Tel Aviv to Jerusalem, including some serious hills and rocky trails. This should be a serious test for my second participation in the bi-yearly 180,1k long ultra trail race from Ancient Nemea to Ancient Olympia. Two years ago I finished this epic race in just over 20 hours and a shared 3rd position, a completely unexpected result. Looking back to that race I can safely say that all stars were aligned, with cool temps, covered skies, good physical preparation as well a strong mental focus and a large RFE tank, which was regularly refuelled during the race, thanks to the unique journey and the wonderful organisation and race support. I entered the race with the only ambition to reach the finish within the 30h cut off time and I will start with the same ambition this time, regardless the outcome of the first race. My current workload simply doesn't allow the training volume I could achieve two years ago. The last test before the S-race in September is now staged for Iceland, as I signed up for the 55k Laugavegur Ultra Trail Marathon, together with an Icelandic running friend I have met in Boston. Now the goal is defined and the milestones are laid down, it’s time to throw in the physical and mental training required to achieve the goal and interim targets. But how much and what kind of training is required and possible in combination with work and family? When I started training for the classical marathon it was relatively easy to do your homework based on the many training plans available on the running web. This is however different for ultra’s. There are no clear cut training programs for a 144, 180 or 250k ultra. For this kind of ultra-humane performances we are all one of a kind. Some Sparta runners will swear by high mileage training - up to 200k per week or more - others will make it to the finish with a much lower weekly mileage. Some will incorporate speed and tempo workouts, others will simply log the miles at even pace. Some will train to walk, others wont. Some will run many B and C races, others will only focus on the one and only A race. The only common denominator I can see - more clearly now after reading UltraStu’s RFE theory - is the high amount and importance of mental training to get prepared for races of 100 miles and more. In case of the Spartathlon and other daunting ultra’s I have wondered why runners deemed less fit than me could finally make it to the finish. In one of my previous blogs I even alluded to crypto-religious dimensions I believed key in the determination of some of the finishers, as if running to Sparta is a kind of post-modern pilgrimage. Now I am convinced it has more to do with mental focus than with religion per se, which is a relief for a secular humanist like me. Except (or better said part of) of physical and mental training there are two other new year resolutions I have made to reach my goals: pick up reading/writing on running and optimising my body composition and fuelling. 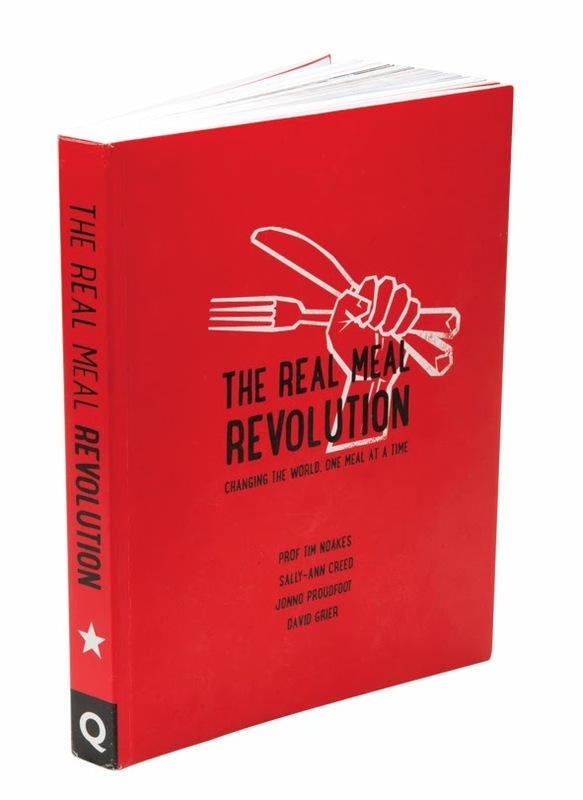 By writing this blog and reading/implementing Tim Noakes’ new theory on nutrition - The Real Meal Revolution - I hope to hit both flies with one hand.